In the same manner in which a complete understanding of oedema requires the assessment of the complex physiological systems affecting fluid and sodium homeostasis, understanding obesity requires a comprehensive appreciation of the multitude of factors affecting energy intake and expenditure. Energy expenditure can be further subdivided into non‐activity (= resting metabolic rate + dietary‐induced thermogenesis) and activity thermogenesis (= non‐exercise + exercise activity thermogenesis). For simplicity’s sake, these three elements can be termed diet, metabolism and activity. A change in any one of these elements, if not balanced by corrective changes in the others, will result in a net change in energy balance, which, if positive, will result in caloric ‘retention’ and weight gain. 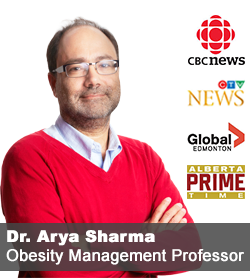 In subsequent posts, I will discuss the many factors that can affect energy metabolism, food intake, and physical activity and how changes to each (if not balance by corrective changes in the others) can lead to weight gain and often pose barriers to obesity management. 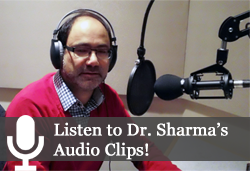 I too am in the opinion as stated by Dr. Sharma. Doing my PhD research on Childhood obesity in Indian children, I have come across a wider spectrum of participants who are diagnosed with Obesity but are not having any particular imbalance in the intake vs output equation. Rather there are some, who inspite of normal dietary intake are found obese which can be attributed to their daily life routine.